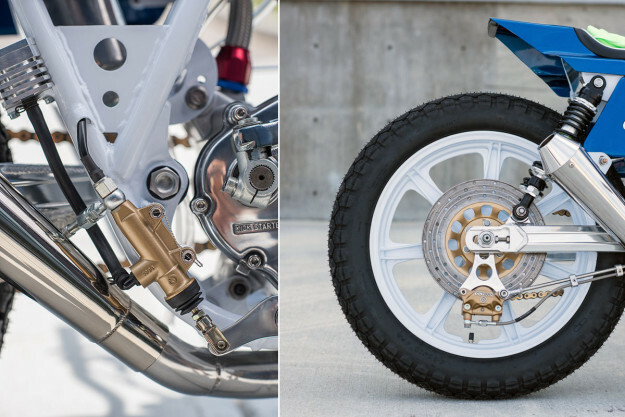 Yamaha’s lightweight, wheelie-prone TT500 is one of the all-time great off-road bikes. So how do you improve on a machine already close to perfection? 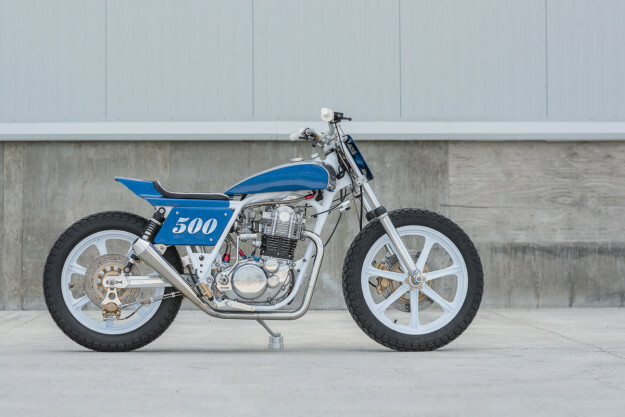 When Canadian Paul Miller found himself with a basket case ’77 TT500, he decided to try. 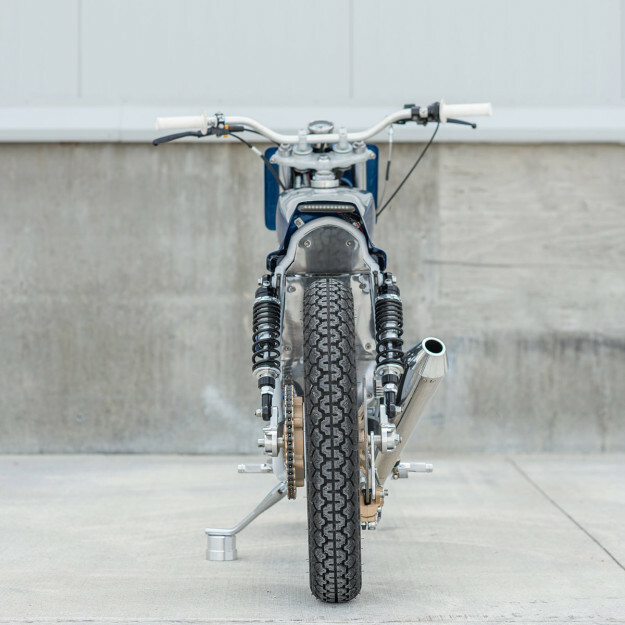 He’s built an elegant and nimble street tracker that, despite first impressions, is street-legal. 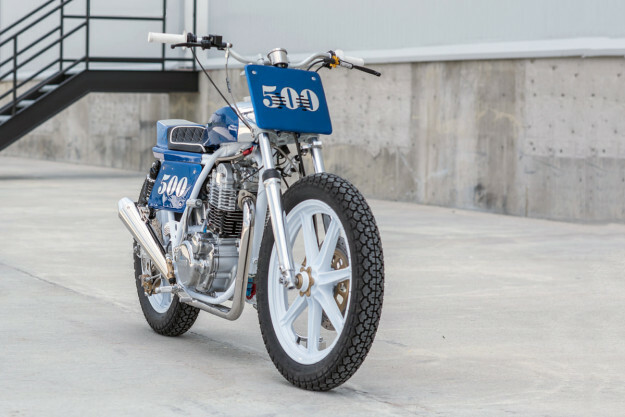 There’s hardly a square inch of this bike that hasn’t been massaged: the only remaining pure TT500 parts are the engine and the front half of the frame. Miller, 25, lives in the oil town of Calgary, Alberta, and grew up around street rods and drag racing. 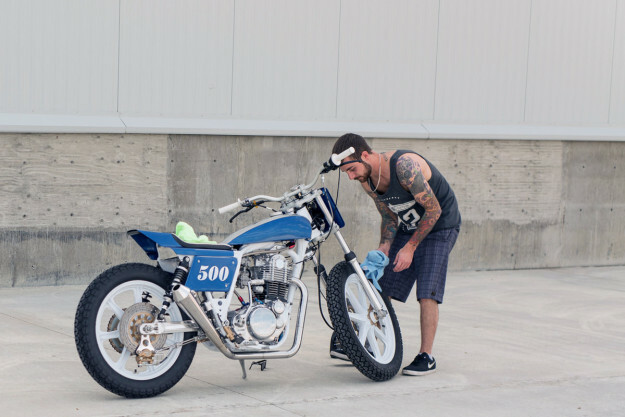 He’s a gas turbine technician but these days it’s motorcycles that get his motor running. Miller seized the chance to fix elements of the original design that bugged him. The TT500’s shocks are positioned at a different angle to the front forks, so Miller has made them symmetrical via a new rear sub frame. 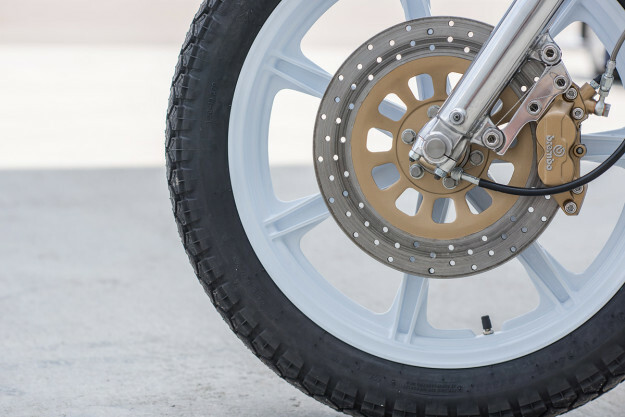 He’s also changed the foot pegs to a more comfortable position. It’s worth pointing out the LED lighting, which satisfies the Canadian legal requirements but is almost invisible until activated. The switchgear is equally slick: the signal, light and horn switches are Drag Specialties pieces. 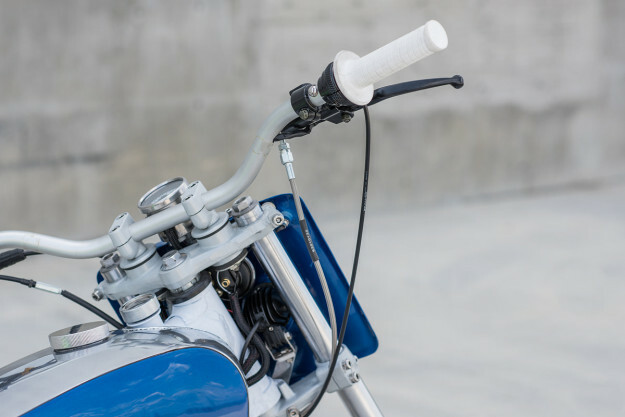 It’s a meticulous build, with immaculate finishing and quality control—right down to the safety wiring. Miller’s gas turbine training shows. “I learned a lot during this build,” he admits. 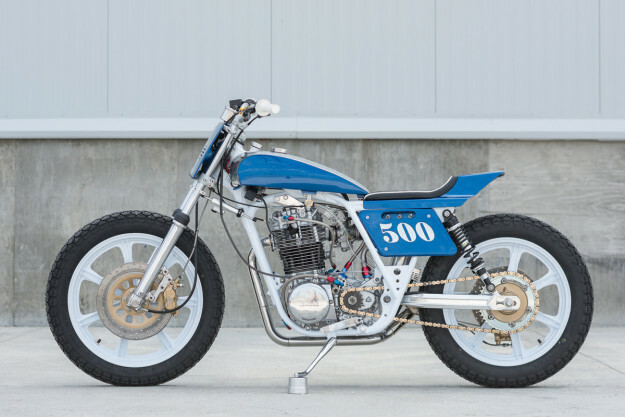 “I did all the engine work, ignition, plumbing, welding and sheet metal. Plus the fabricating, wiring, painting and polishing.” He knows when to call it a day though: his attempt at the upholstery failed, so the experts were called in. Miller has now set up his own workshop, PanicRev Customs, to offer his remarkable skills to other Canadian custom fans. Form an orderly queue here.